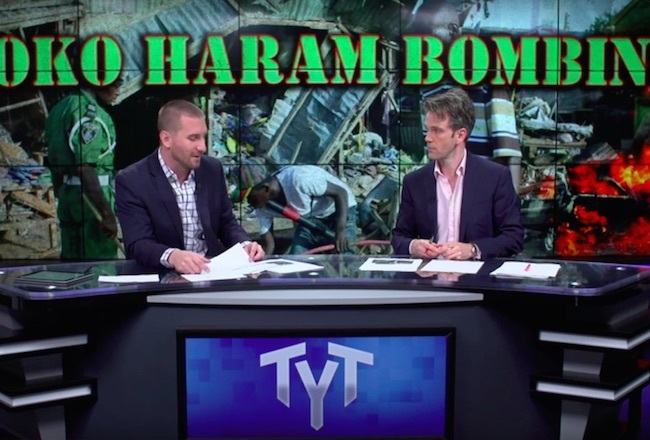 The Young Turks John Iadarola and Elliot Hill (The Lip TV) discuss the series of bombings that left dozens dead in the city of Yola in Nigeria. “These types of atrocities…it’s not something that we report on a great deal in this country or anywhere in the world,” Hill explains that this group has a similar mindset to ISIS but isn’t on the West’s radar. “That is profoundly troubling,” he adds, “You don’t stop people blowing themselves up by blowing up their family.” Hill suggests that reactions to these bombings should shift from blowing people up, since that just creates a new terrorist group, to creating longer-term, integrated socio-economic strategy.